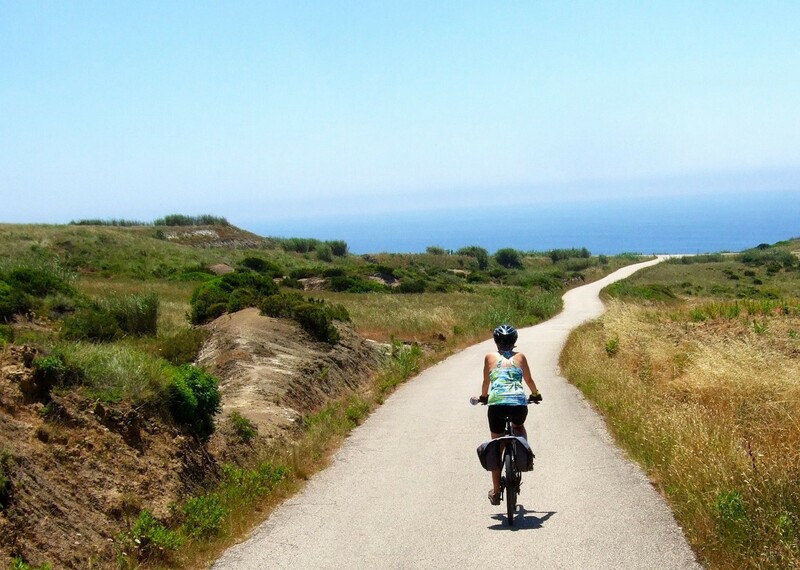 This self-guided cycling holiday in Portugal explores the west coast of the country and has been designed to keep you away from the hustle and bustle of major cities. 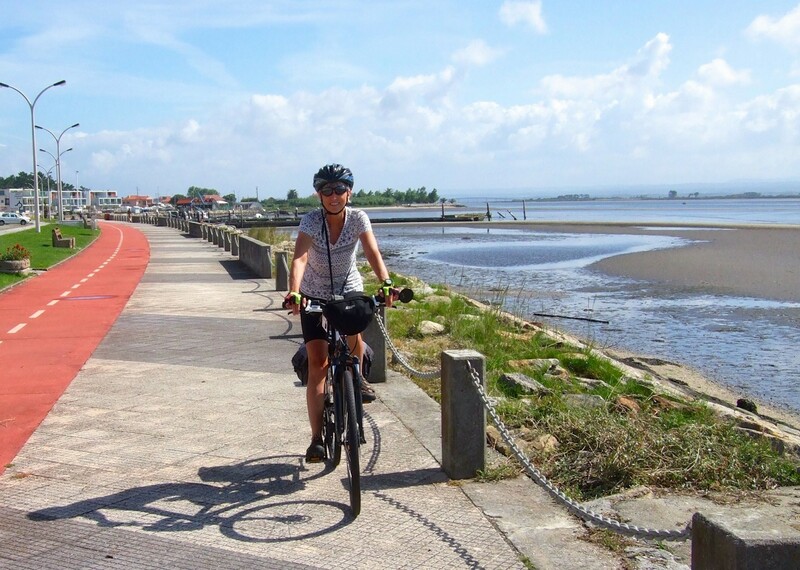 Instead the route takes you along secondary roads, narrow country lanes and cycle paths. You will be provided with a GPS device, along with some helpful route notes and background maps, so navigating the day's rides couldn't be easier! 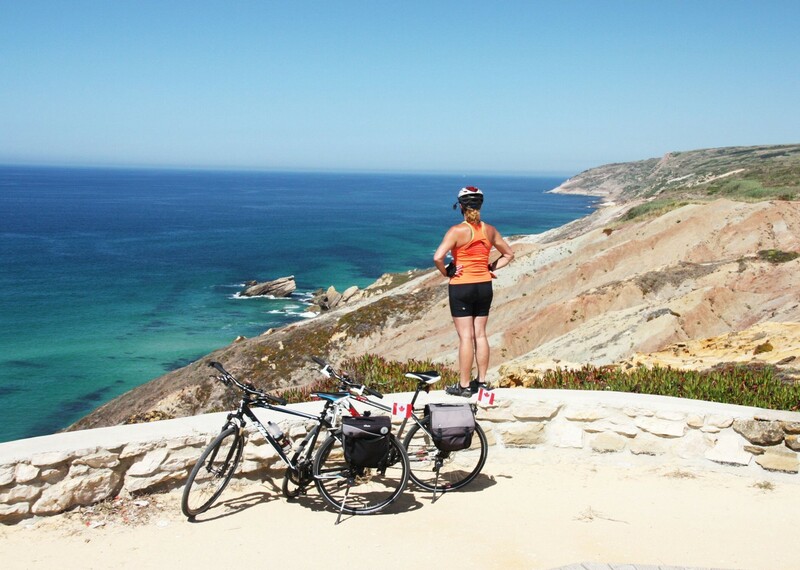 The route follows Portugal's stunning western coastline, all the way from north to south. 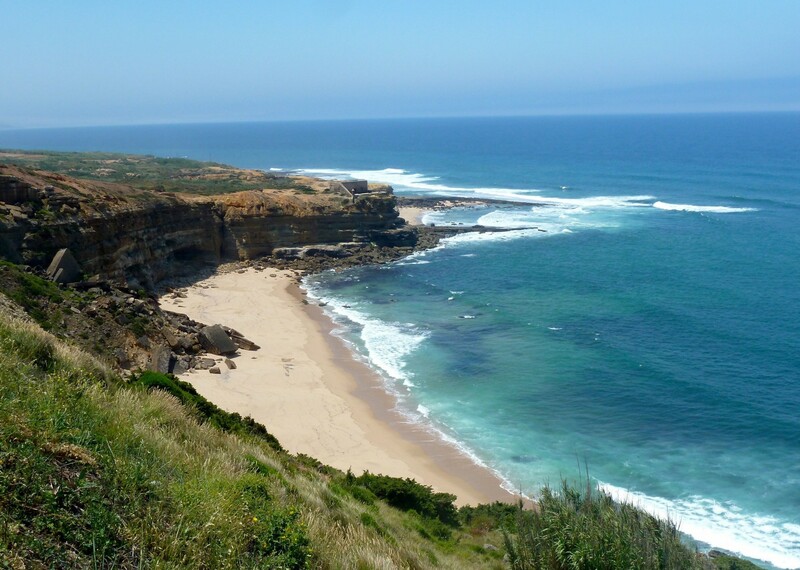 The route visits numerous beaches, fishing villages and historic towns and beautiful pine tree forests are almost always present on the left handside of the road. But most relevant of all are the magnificent, blue ocean views from above the cliffs, where the majority of your cycling takes place. 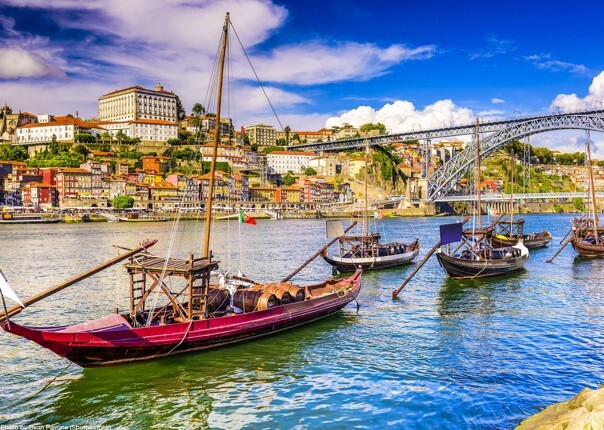 Starting in the city of Porto, amongst the highlights of the trip are the traditional fishing villages of Furadouro, Praia da Vieira and Nazaré, the historical, castle wall-enclosed village of Obidos, the peninsula of Peniche with its spectacular ocean views, the lush landscapes of Sintra Natural Park and the world heritage town of Sintra. 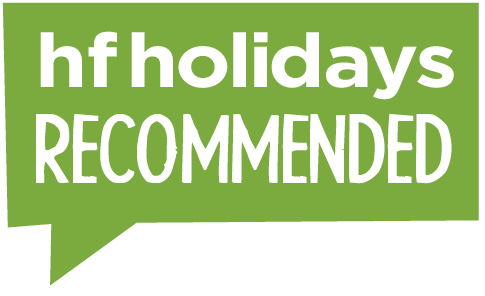 Accommodation during the holiday has been picked based on quality and location, to ensure you're comfortable after a day in the saddle. When you reach your accommodation for the evening, your bags and rooms will be waiting for you leaving you only one thing to worry about; what to eat for your evening meal! 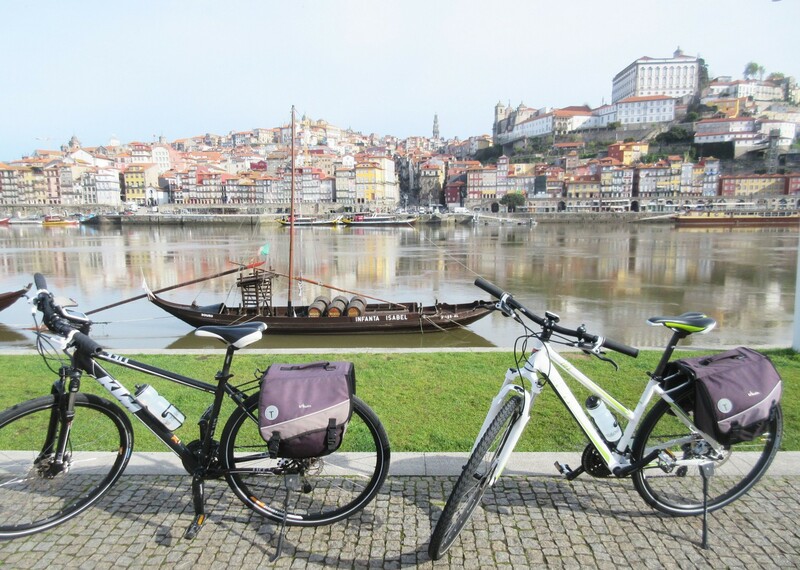 With start dates flexible and various flight options to Porto, there’s never been a better time to take a cycling holiday in the ever beautiful Portugal. It was very good to have so much support available throughout the trip. At one point, I had a small accident on my bike, but the local representative, and a team member from Saddle Skedaddle office, kept in touch to make sure everything was okay. Then our local guide made arrangements for transport and generally made sure that we were always doing alright. This is our fourth skedaddle holiday and we intend to do it again next year! This is the first time we have taken a cycle trip guided by GPS and it was excellent. It led us gratefully to our hotel at the end of each day – no more searching unfamiliar towns at the end of a hot and sweaty day’s cycling. We loved the last day! 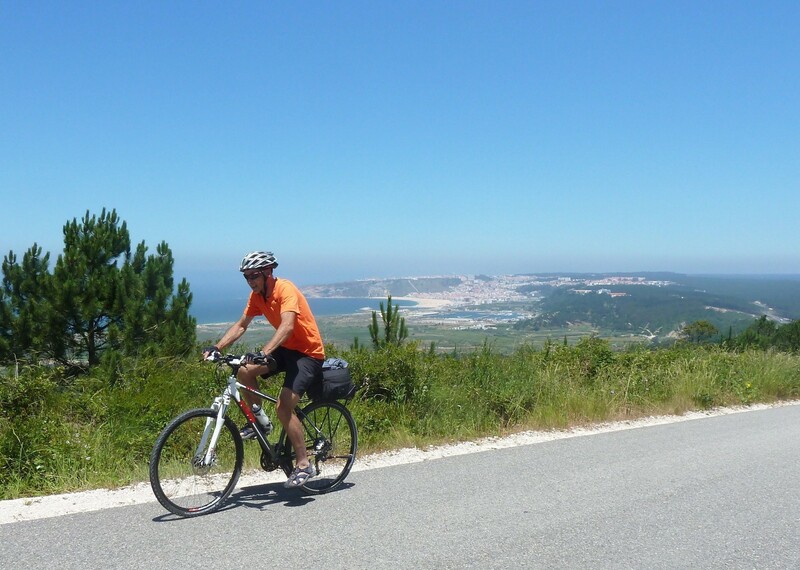 Lots of sea views, some challenging climbs then the ascent into Sintra. Two celebratory beers before checking in to the hotel and still plenty of time to visit the Pena Palace. Local representative spent time with us explaining the route clearly and using the GPS – we found her very supportive and kept in daily contact to make sure all was well. She even arranged a transfer for us! We had a great time, perfect cycling weather, great bikes and a well prepared route on good paths, roads and cycle ways. The hotels were all very good, and the back-up was supportive without being intrusive. Again, contact with the office was very good, a very friendly team, and everything ran smoothly. The representative was excellent from the minute she picked us up from the airport to the last text at the end of the holiday. She had plenty of time for us, gave excellent recommendations, was very supportive and helpful when we managed to lose each other, and looked after us without us really being aware of it. A gem! We had very detailed notes and maps, with highlights to look out for each day – I was very impressed. Our luggage was always in our room or hotel when we arrived. No problems whatsoever. A great holiday! Antonio your partner in Portugal was very efficient, charming and professional. His organisation and coordination of the trip was first class and he kept in regular contact. We felt absolutely confident that he would be on hand at any time of day and night if required.The hotels were beyond our expectations, wonderful locations and extremely comfortable. The hire cycles were of a high standard and in first class condition. Sintra was just amazing an added bonus which we were not expecting! In conclusion it was a truly wonderful holiday we would recommend it to colleagues and for us we were so lucky to have glorious sunshine all week! All our queries and individual requirements were well answered and catered for. Good pre-trip info pack. A very enjoyable trip with variety of scenery and interesting places to visit. Nice clean newish bikes with smooth gears and lovely hotels. The hotels were of a very high standard and in excellent locations. They were mainly boutique style and each one individual. We were very impressed with all hotels. The build up in difficulty each day was perfect and we feel we had the opportunity to experience the true Portugal each day. Day five was a particular highlight – very challenging but rewarding with a fabulous town at the end. We can’t praise Antonio our holiday rep in Portugal enough for his support and expertise. He was available via text the entire trip and couldn’t do enough for us to ensure we experienced the best from our holiday. The most comprehensive and detailed introduction by a rep ever received. The route guide was amazing and was more like reading a guide book. GPX route was useful and accompanying map provided further support. Could not fault! 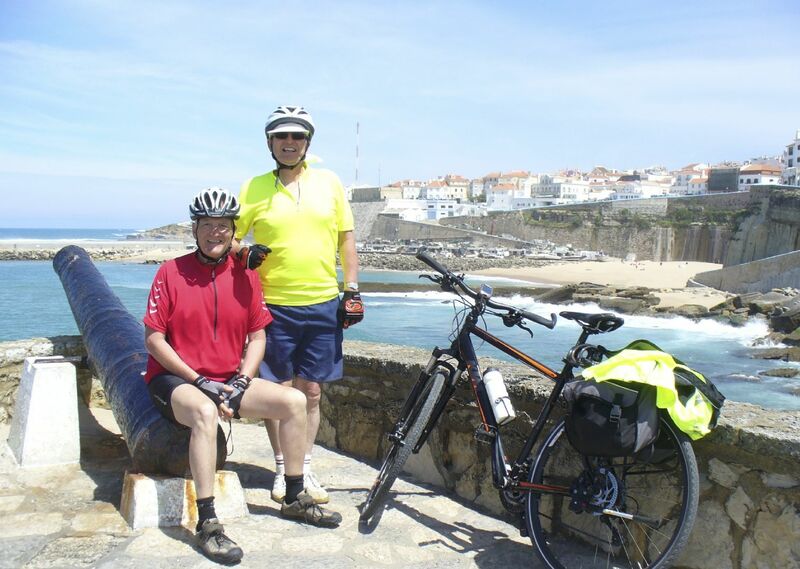 We were really surprised by, and delighted, by the sheer variety on this route and by the proportion of the trip on good quality cycle paths. 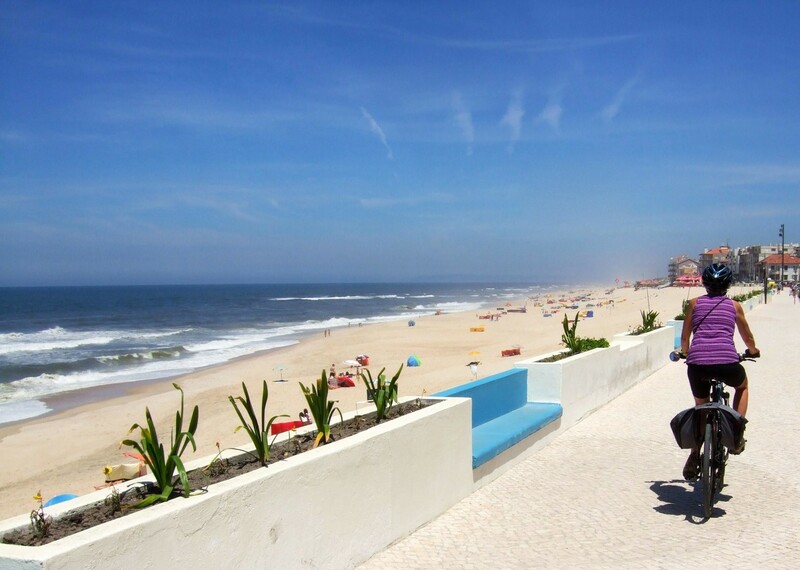 We loved the fishing at Praia da Vieira plus the great cycleways which were deserted. Day 5 to Obidos via Sitio was fantastic too. The views along the Atlantic coast were amazing. 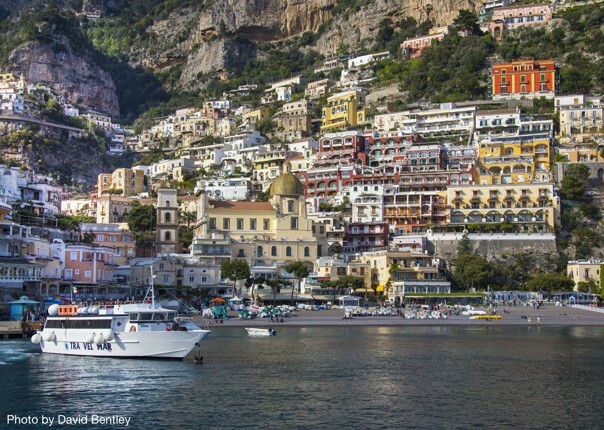 We also enjoyed the variety of terrain, which included forested areas, fishing villages, sand dunes and castle towns. Weather was great but we were surprised by the near empty beaches. Much of our enjoyment can be attributed to the support and recommendations provided by Antonio. Booking the holiday was easy. Excellent information provided prior to booking. Very helpful and prompt responses to any questions we had. Many of the hotels were of the “boutique” variety which we prefer and also located right on the ocean front. Breakfasts were excellent with lots of choices offered. Staff were always friendly with excellent English skills. 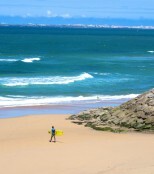 Day 6 was our favourite day as it featured a longer route option which included the Peniche peninsula. We had great views of the ocean and rocky shoreline. We found a great spot for a picnic lunch on this route. A big thank you to everyone involved in our holiday to Portugal. We had an absolutely magical time and have become cycling holiday bores. The organisation and arrangements were perfect. Fantastic route and scenery. The only fault was that it ended; we both wanted to carry on further. 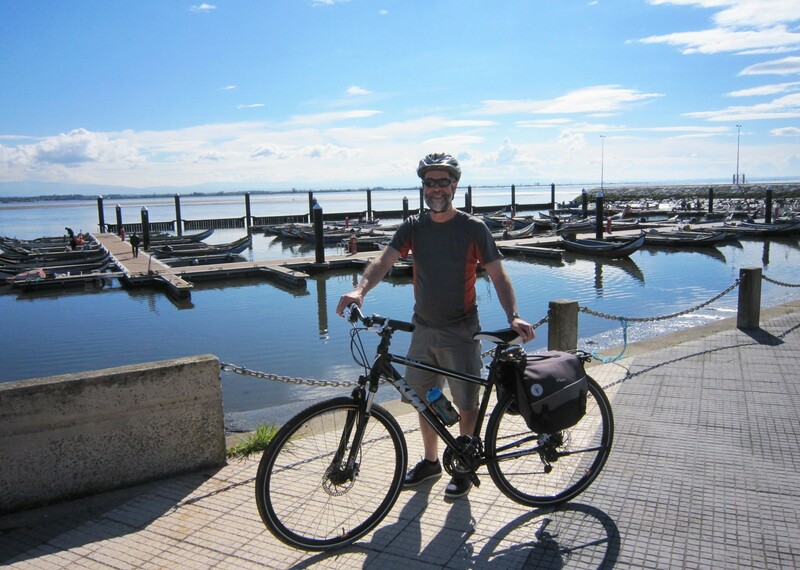 Have completed 5 previous cycling holidays via other providers. This was by far the best, both in terms of the service provided by Skeddadle and the local agent. The route had clearly been well researched, the information was comprehensive and the support unparalleled. 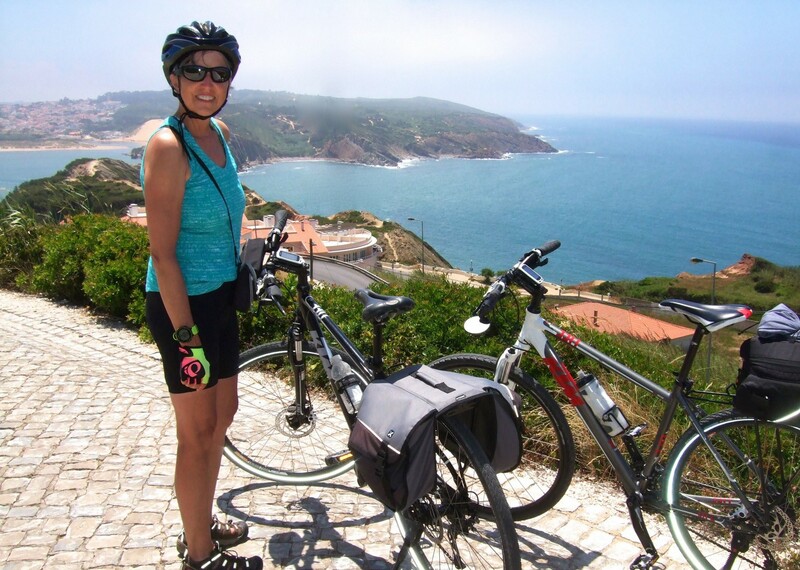 The ride was very varied and allowed us to see many of the sights of the Atlantic Coast of Portugal. The arrangements all worked well, thanks to the efforts of Skedaddle UK staff and Antonio in Portugal. All communications with Saddle Skedaddle were clear, professional and friendly. Skedaddle were helpful in meeting our request to meet up with their local representative at Porto railway station, rather than the airport. The hotels were well-chosen: they varied in size and style, and all were comfortable, friendly and clean. Obidos is a wonderful hill-top walled town and therefore attracts many tourists, but absorbs them well! The routes on GPS were excellent, and the back-up printed maps provided reassurance. Notes detailing interesting aspects of each day’s ride added to our enjoyment. The elevation plots were very useful – we liked knowing when to expect the hills! The photos of the hotels included in the information pack made it even easier to locate them! Antonio Malvas, our representative in Portugal, is top notch. He texted us regularly to make sure that we were getting along well and were having no difficulties. The hotels often had spectacular ocean views. All were clean and comfortable. A couple were a bit isolated, but they were very enjoyable. 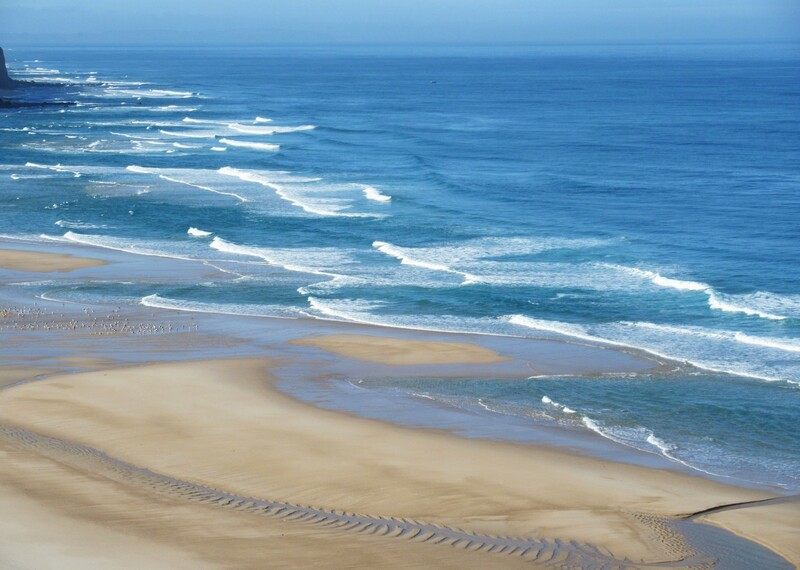 The hotels in Furadouro, Obidos, and Sintra were the best in our opinion, but all were good. The leg from Sao Pedro Moel to Obidos was the most scenic and challenging. There was so much to see and do, from the markets in Sitio to the beachfront in Nezare to the views and sights in and around Obidos. It was a spectacular and challenging day. We were apprehensive but need not have been – days were well planned, quiet and the guides easy to follow. Hotels were well picked, very friendly and welcoming and plenty of opportunities to sample local fare. We thoroughly enjoyed every day of the trip. 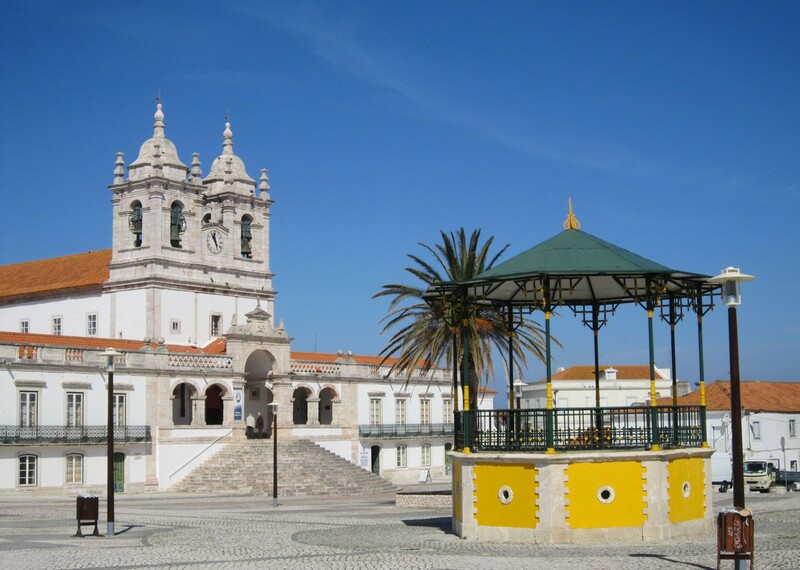 We received fantastic service in the UK & when we arrived in Portugal. This was the first time I have placed our plans in the hands of others – it was remarkable! Everything about Skedaddle is first-rate! Thanks for putting such a wonderful itinerary together! The time Antonio spent explaining the routes and how to use the GPS was much appreciated. The guide booklet you prepared before the trip made sure we got the best from the holiday. Everyone went out of their way to make sure we felt at home! The route, the hotels and the bikes were all excellent. 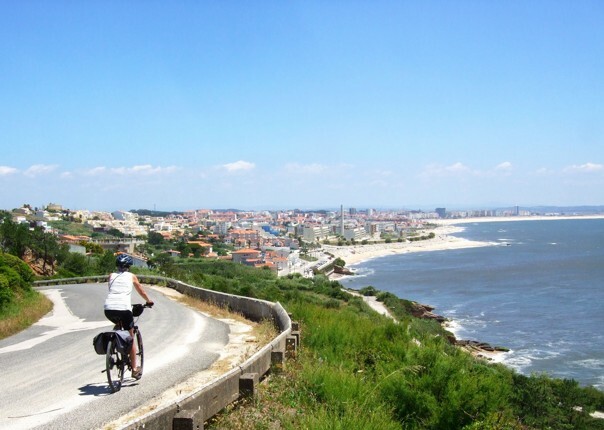 The cycling routes took us to areas in Portugal that we never knew had so much to offer in terms of scenery, food etc. 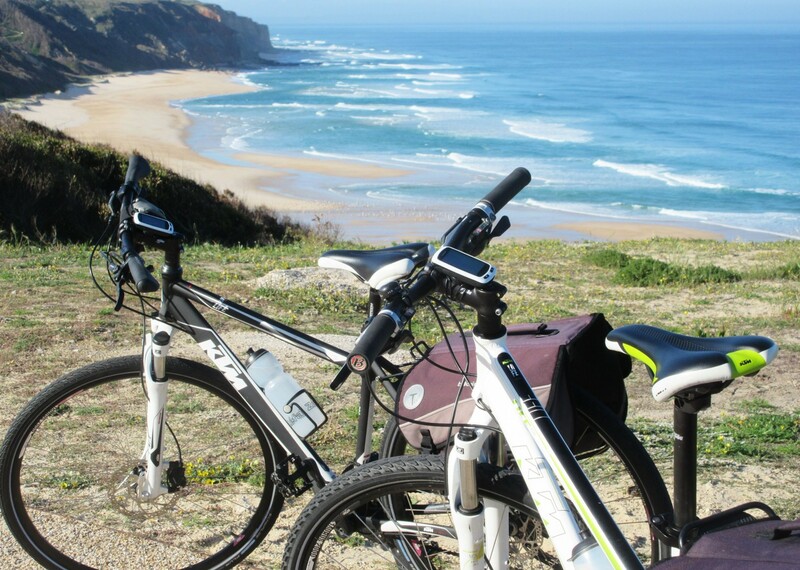 My partner and I booked the ocean ride in Portugal for July 2013… The holiday was brilliant! Our guide Antonio was so helpful and knowledgeable; he really couldn’t help us enough. We felt that had we needed to, we could have called him for help at any time. The tour was well planned, the use of the GPS system saved us lots of time fiddling with maps and directions, and the hotels we were booked into were excellent. Even our luggage arrived on time at each stop! Thank you very much indeed, we had a great time! The trip notes and maps were excellent – and the use of the Garmin SatNav made everything very straightforward – impossible to get lost! Our representative in Portugal was so friendly and accommodating. We were able to fully enjoy our trip. The hotels often had spectacular ocean views. All were clean and comfortable. A couple were a bit isolated, but they were very enjoyable. 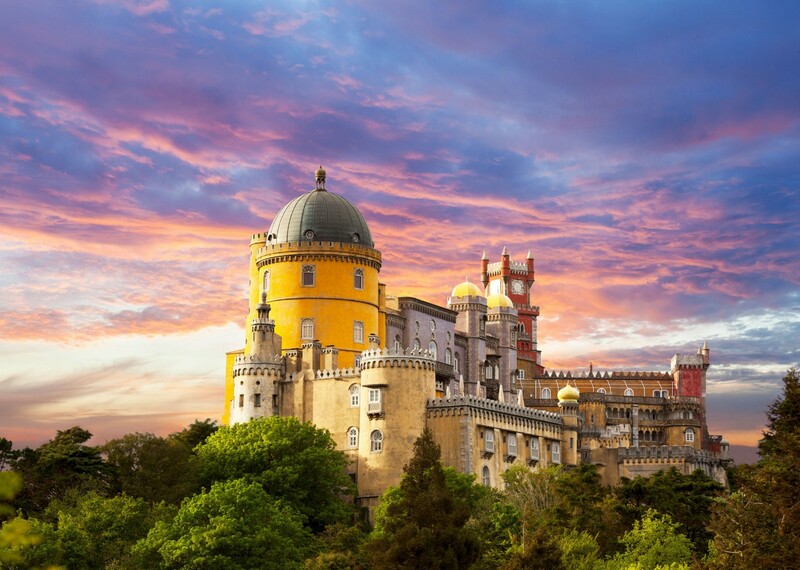 The hotels in Furadouro, Obidos, and Sintra were the best in our opinion, but all were good. The leg from Sao Pedro Moel to Obidos was the most scenic and challenging. 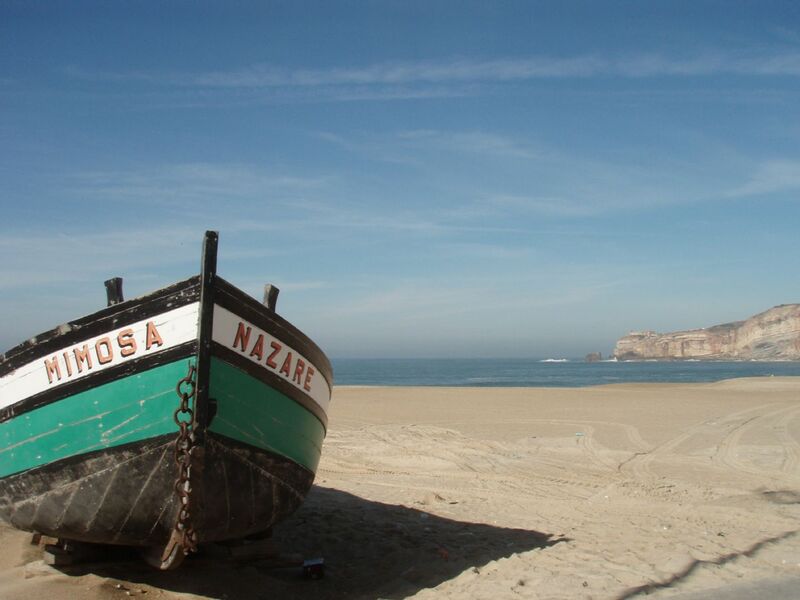 There was so much to see and do, from the markets in Sitio to the beachfront in Nezare to the views and sights in and around Obidos. The GPS system was great!